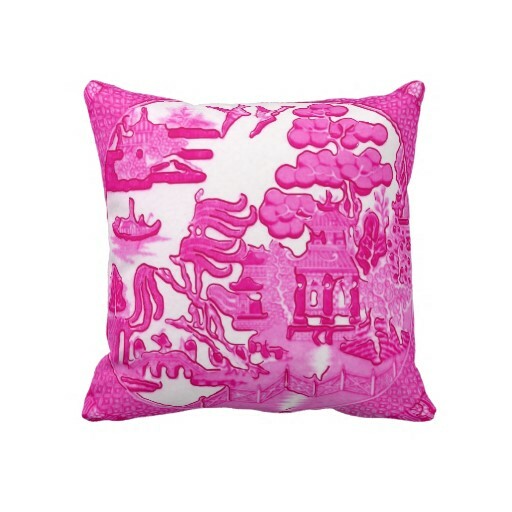 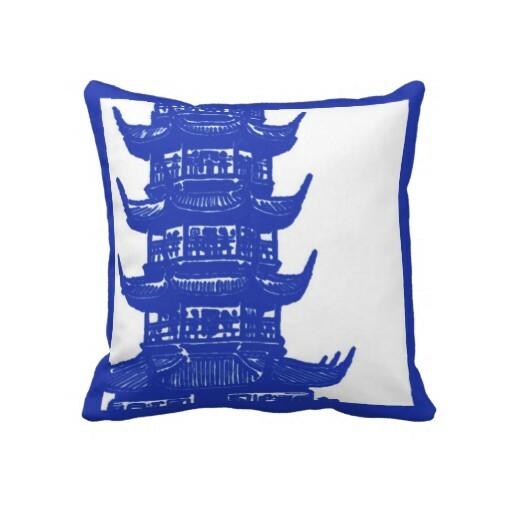 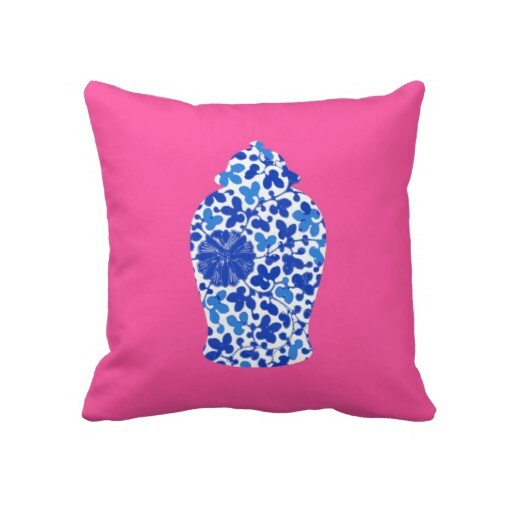 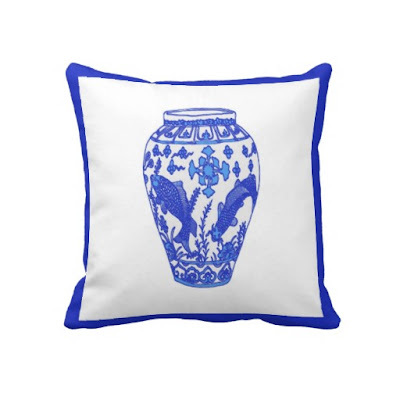 Love the combination of pink and navy blue Chinoiserie as much as I do? Group a few of these on a couch or bed to transform the room in minutes. 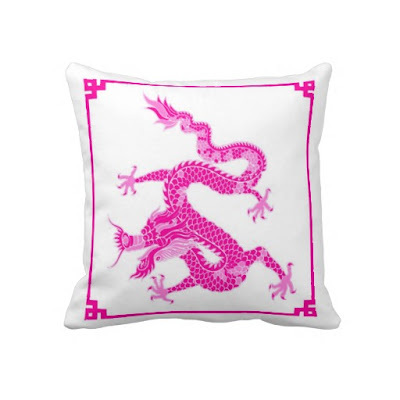 All of these and many more are available from The Pink Pagoda's accessories store. 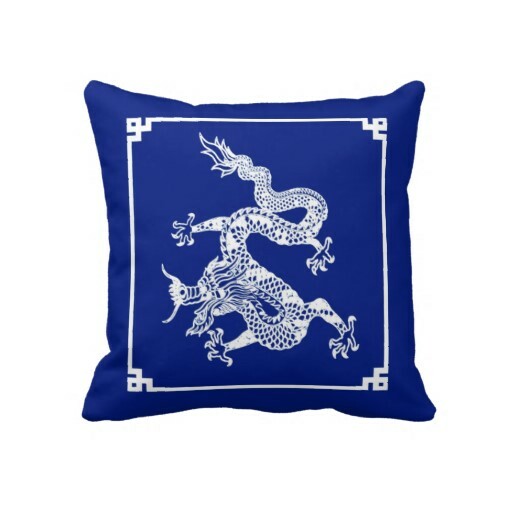 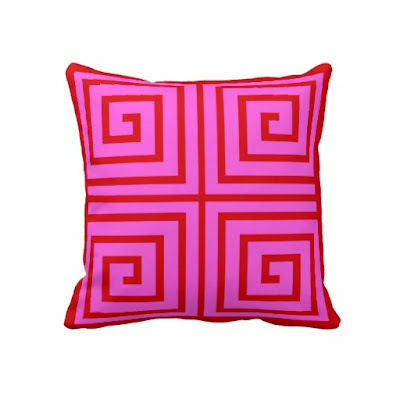 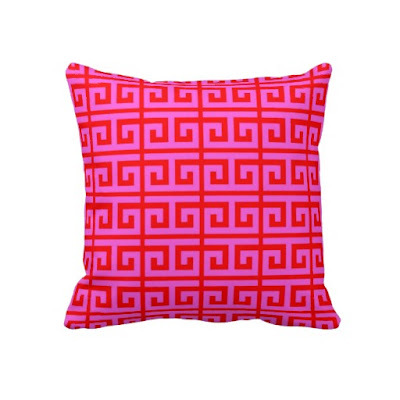 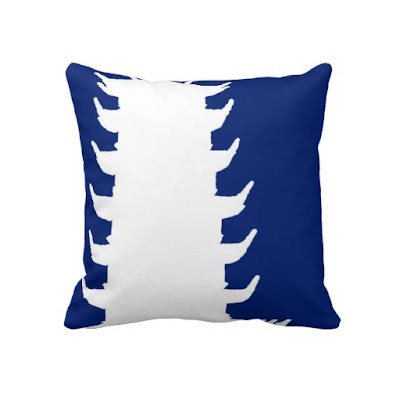 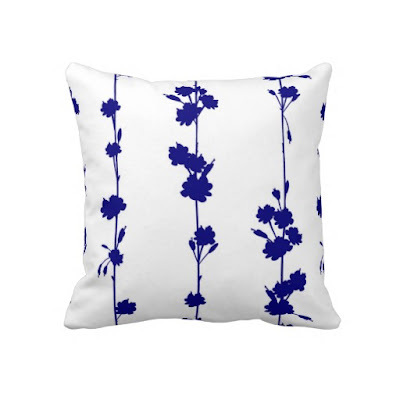 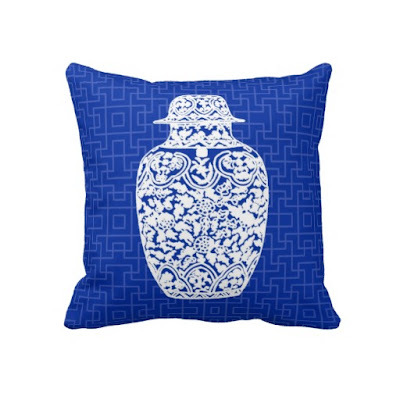 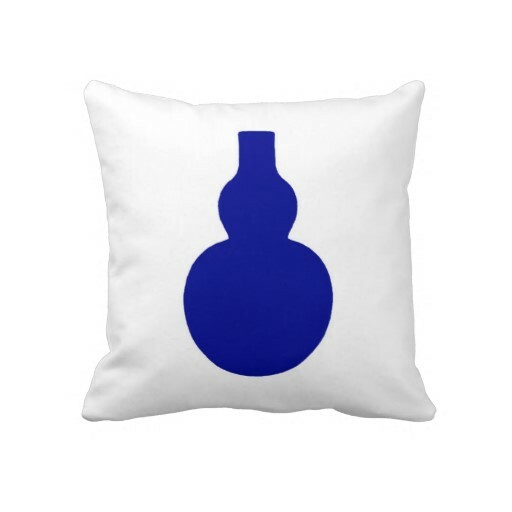 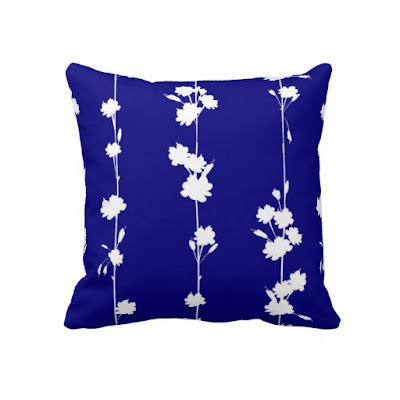 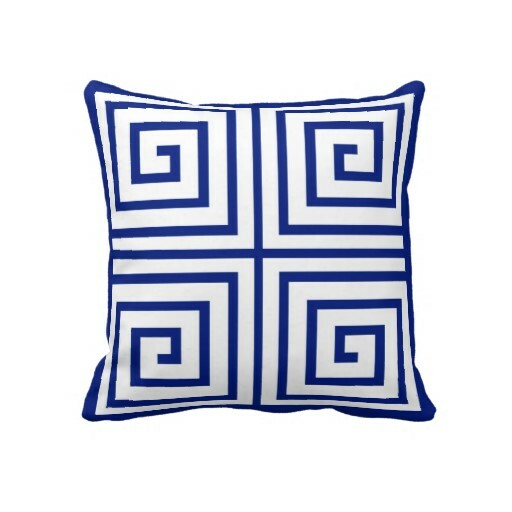 Thank you for featuring my pillows! 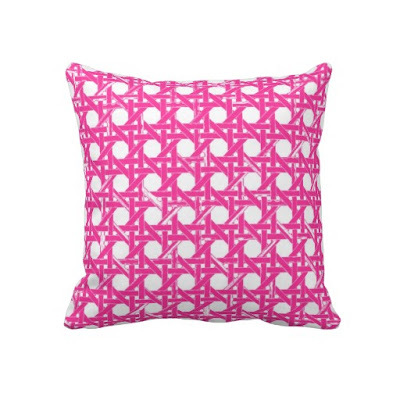 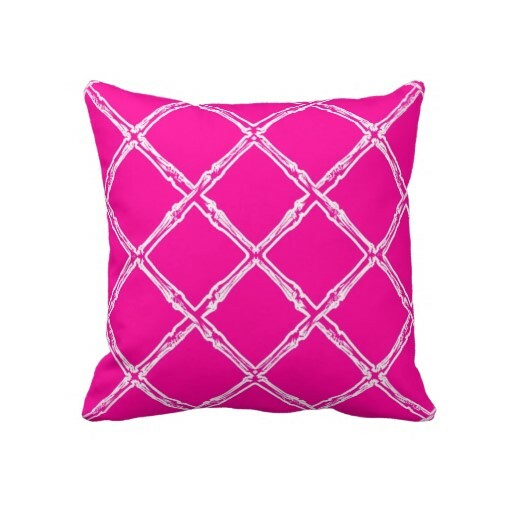 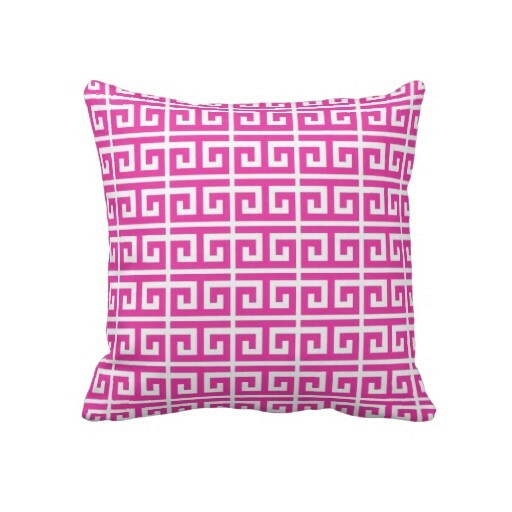 I love the navy and pink pillows together!